A man charged in the death of a Border Patrol agent won’t face the death penalty as part of a plea agreement with prosecutors, The Arizona Daily Star reports. 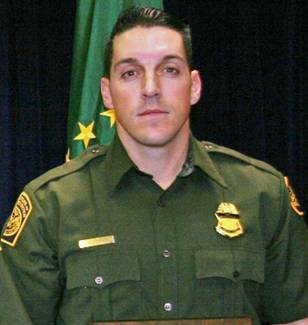 Rosario Burboa-Alvarez agreed to plead guilty Monday in the first-degree murder of Border Patrol Agent Brian Terry. The sentencing recommendation calls for 30 years in prison with credit for time served. Sentencing is scheduled for Oct. 19. Prosecutors said Burboa-Alvarez was in charge of recruiting people to sneak across the U.S. border and rob marijuana smugglers. Burboa-Alvarez, 31, was considered a co-conspirator, even though he was in Mexico at the time of the killing. Posted: 8/12/15 at 9:47 AM under News Story.